"Candidates for the state legislature in Nevada can raise up to $10,000 per individual per election cycle. I don't know too many Nevadans able to cut $10,000 checks to political campaigns. If elected, I will fight to bring the cap on donations to state legislative candidates down to at least $500 per individual per election cycle so the people of Nevada can know their representatives are working for them." Billions of dollars are spent by large corporations, organizations, and wealthy individuals every election cycle to influence our elected officials, with tens of millions spent right here in Nevada. Tony T. Smith believes this type of unregulated money in our political system prevents the people's voice from being heard, and ultimately prevents us from having a true democracy. Tony is running a "practice what you preach" campaign, refusing to take any individual contributions over $250 so he can work for the people, not wealthy donors. "I believe in the ideals of our democratic republic, that the people should be able to select the person they feel will best represent their interests in the legislature. But under our current system, the people are robbed of their voice because so many of our representatives are beholden to Big Money donors. That is why I refuse to accept any donations totaling over $250 from any individual or entity in my race for Assembly, so I can maintain my independent judgment on behalf of the people of District 4." Tony believes our current campaign finance laws are too weak and allow what amounts to legalized bribery of our elected officials. This is why he wants to pass the toughest campaign finance legislation in the country to get big money out of Nevada's politics so the people of Nevada know their representatives are working for them, not for wealthy donors. Ultimately, Tony believes we should have public financing of elections to completely eliminate the perverse incentives created by large campaign donations. Tony T. Smith is running a "practice what you preach" campaign, which is why he refuses to take any donation over $250. Tony believes it will be impossible to change our corrupt campaign finance system until the people support candidates that refuse to compromise their integrity by relying on Big Money donations. Tony is relying entirely on small donors to show it is possible for a candidate to win office by refusing Big Money donations, which will lead to more candidates swearing off Big Money. The success of Tony's campaign and the rise of more candidates relying on small donors will chip away at the barriers blocking the people from having a political system that works for them, not wealthy donors. Why cap Donations at $250? Click the link below to learn more about why Tony is capping total donations from any person or entity at $250. Support the fight for an honest political system! 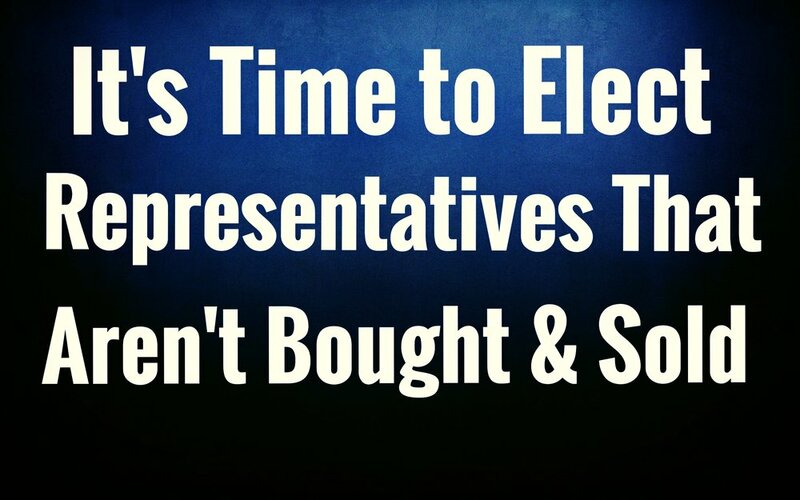 Click below to support the fight for an honest political system.